Unite has called for urgent reforms into how the deaths of workers and members of the public killed and injured in road accidents involving lorries are recorded, after research found a 50 per cent increase in lorry driver deaths. Following a Freedom of Information request Unite, which represents thousands of Heavy Goods Vehicle (HGV) drivers, has discovered that the number of lorry drivers killed in road accidents increased by 50 per cent in 12 months from 14 in 2016 to 21 in 2017. The total number of all fatalities involving HGVs in 2017 was 263 compared to 267 in 2016. Despite the drivers being at work when the fatal accidents occur, they are not considered to be workplace accidents and are only investigated as road traffic accidents. Issues such as long hours, working conditions and long-term medical conditions, which could have contributed to an accident and would usually be investigated by the Health and Safety Executive (HSE) following other workplace deaths, are unlikely to be investigated. Unite’s findings coincide with one of the busiest and most demanding times of the year for lorry drivers operating in the retail sector. During the Christmas period drivers are working their maximum hours, pressure is at its most intense and driving conditions are often poor. Unite is concerned that its members are increasingly being pushed to constantly drive to their maximum time allocation and that ever changing shift patterns makes it very difficult to get the proper rest they need. 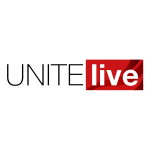 Earlier this year Unite revealed that a highly confidential survey of its lorry driver members found 29 per cent had fallen asleep at the wheel. said Unite national officer Adrian Jones. “Not only does this massage the figures but it means that these deaths are not properly investigated. “Our members regularly report that they are being forced to the point of exhaustion and beyond, due to a combination of long hours and ever changing shift patterns, meaning they are denied anything like adequate sleep. Yet these issues are being ignored and tragedies are occurring. “Unless we better understand how and why these deaths occur, drivers and the general public will continue to die needlessly on our roads. “Unite expects all drivers to be able to work reasonable hours and get proper rest. We want nothing more than fair transport rights in Britain and across Europe.